The two brothers, Walter e Antonio Mastroberardino, descendants of an ancient wine-making family, in 1993 decided to divide their ways; Antonio kept the family Company, while Walter the ancient vines. in the name of his wife Dora Di Paolo. In our family's vision, the land has a central position; it represents the soul and the driving force behind the winery, that’s why, year after year, the harvest is our greatest treasure. Since 1978 TERREDORA has been a key player in Campania’s viticultural reinassance. Combining experience and tradition, TERREDORA has introduced in its own historic, indigenous vineyards modern innovations, technical knowledge, and a team dedicated to respecting and promoting the return to traditional viticulture, a most qualified tradition.In Campania the history of men is intimately linked to vines; TERREDORA’s commitment is to filling the glass with the taste of this fascinating and generous land, thanks to the benefits of volcanoes and the sun. After World War II, Walter Mastroberardino, a resolute southern man who is now head of TERREDORA, began to carry his bottles around Italy, starting from Milan. In 1994 a chapter of his life ended and, at sixty years old when people usually retire, he started a new journey with his children Daniela, Lucio and Paolo, and the support of his wife, Dora Di Paolo. It was not by chance that his new company has taken the name of his wife, a quiet but active woman. The cellar was built in Montefusco for vinifying the grapes of the family estate, which dates back to 1978 when Irpinia was characterized predominantly by its wildness. The family has always had the direct control of all production steps, which has ensured overall quality, guaranteeing great final wines. TERREDORA is a more twenty year success story that has also, sadly, seen the passing of Dora and the early death, in 2013, of Lucio, the company winemaker. Lucio was just a boy when he started his career, and in 2006 he quickly rose to fame, gaining attention in London for his nomination for “Winemaker of the Year” in the white wines category at the “International Wine Challenge”. ​Typical of a wise man who has gone through many storms and has never been defeated, Walter Mastroberardino decided that, in time of sorrows, the family must be at the forefront, facing the challenges of starting a new stage united in the memory of the man who had so greatly contributed in the creation of company. The story of TERREDORA is the portrait of Walter and his family, in all the colors of his homeland and its hard-working, genuine people. Irpinia, a hilly area, not far from the Gulf of Naples, Pompei, Amalfi and Sorrento, has its own reward, thanks to the wines produced there since the Greeks and Romans. 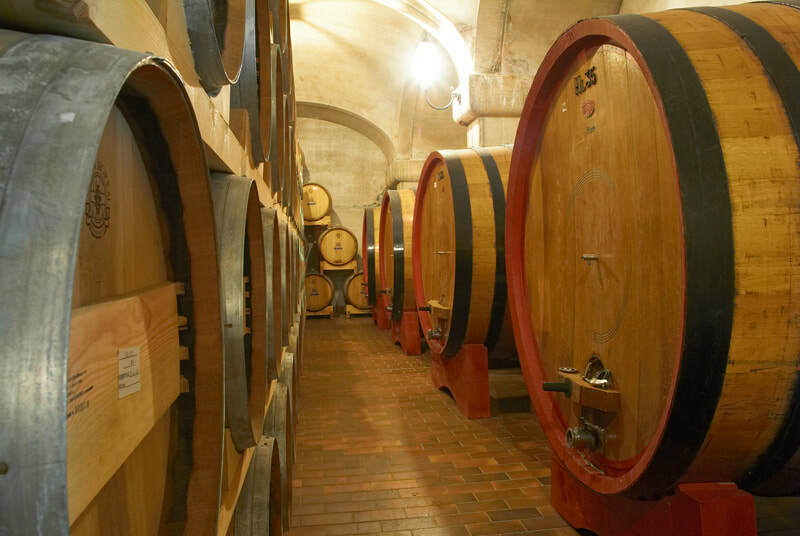 Among the greatest wine companies of South Italy, TERREDORA, with about 200 hectares, carries on its job in the vineyards and in the cellar each day according to the most careful techniques that respect this unique environment. The identity of TERREDORA wines is, therefore, that of worthy fruits, of nature and of imagination supported by skilled hands.